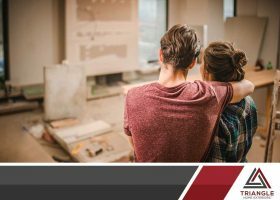 Although the prospect of having an improved home is quite exciting, the process of remodeling itself can be one of the most exhausting experiences you can ever go through as a homeowner. However, there are ways to avoid pitfalls and stress-free remodeling is possible. Over everything, it is important to communicate well when working with roofers, window installers, or siding contractors alike. To facilitate a successful collaboration with any of them, consider the following points. Why Work with Contractors Who Offer Financial Options? What Causes Roofing Shingles to Blister? Copyright © 2019 Triangle Home Exteriors. All rights reserved.